— A historic NASA spacecraft has landed on long-term display at the museum named for its pilot. 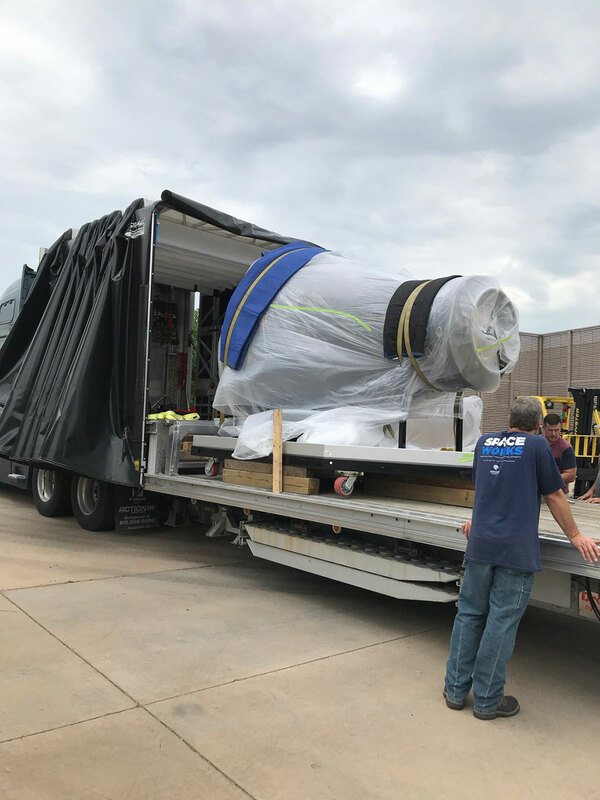 The Gemini 6 capsule, which in 1965 achieved the first rendezvous with another crewed spacecraft, quietly made the move last week to the Stafford Air & Space Museum in Weatherford, Oklahoma. The Smithsonian-owned artifact had been on exhibit in Oklahoma City since 2004. 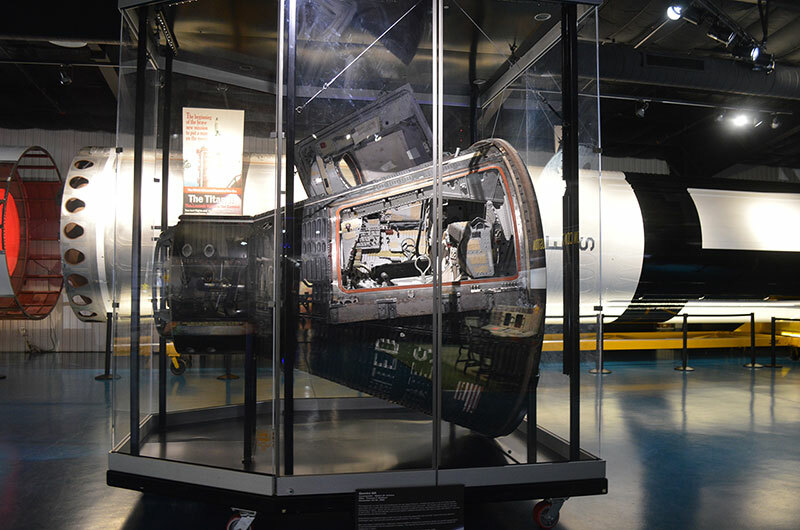 "For the Stafford Museum to receive the actual flown Gemini 6 spacecraft for display from the Smithsonian takes the museum to a whole new level," said Max Ary, executive director of the Stafford Air & Space Museum (SASM), in a statement released on Monday (July 30). 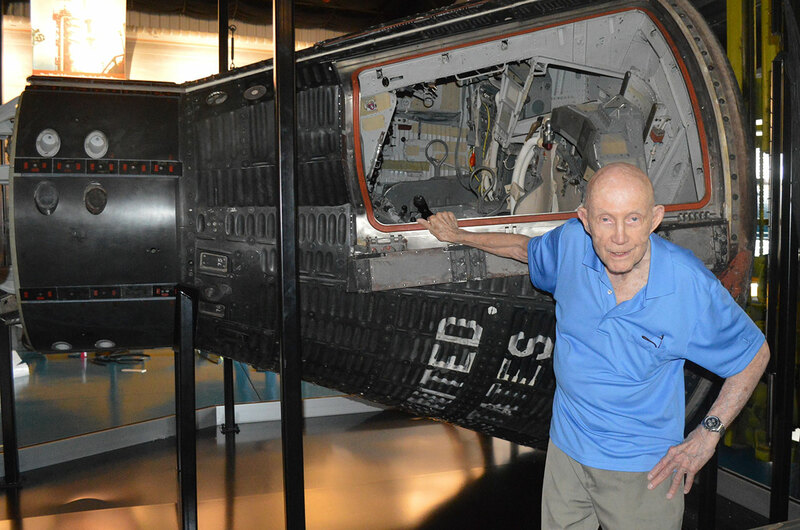 "To now have that spacecraft sitting in the museum named for the pilot of Gemini 6 makes this event extra special!" Thomas Stafford, now 87, launched on board Gemini 6 on Dec. 15, 1965, for what was the first of his four missions as a NASA astronaut. Stafford and Walter "Wally" Schirra flew their spacecraft within one foot (0.3 meters) of the crewed Gemini 7 to make history for the first on-orbit meet-up. "Stafford on Gemini 6 made his reputation," said former flight director Chris Kraft in a statement released by the Stafford Museum. "He became known as an engineering astronaut and a thinking astronaut because he understood the orbital mechanics very clearly." The reunion between the pilot and his first spacecraft at the museum bearing his name had been more than five years in the making. Previously on display at the Oklahoma History Center (OHC) in Oklahoma City, the move required more than just a truck to transport the spacecraft the hour or so west across the state to Weatherford. "Most spacecraft are seldom relocated when acquired by a specific facility," explained the Stafford Museum in a press release, "but through collaboration with the Smithsonian Institution and three Smithsonian affiliates — OHC, SASM and the Cosmosphere in Kansas — the historic move of the flown Gemini 6 spacecraft has been accomplished." The Cosmosphere, which was entrusted to restore the spacecraft and fabricate its custom display case in 2003, was responsible for overseeing the move now to the Stafford Museum. 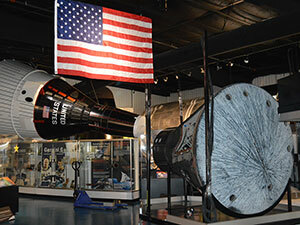 Prior to arriving at the Oklahoma History Center, Gemini 6 was on display at the Saint Louis Science Center in Missouri and at the former Kirkpatrick Science and Air Space Museum at Omniplex in Oklahoma City. 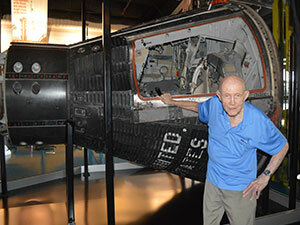 Now on exhibit in Weatherford, the Stafford Museum has big plans for the Gemini 6 display. 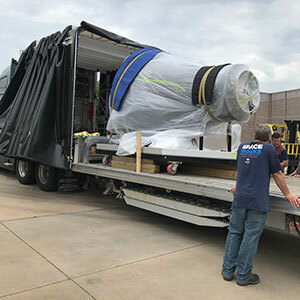 Already home to an extensive Gemini-focused collection, including a complete Titan II rocket, the museum plans the addition of a climb-aboard Gemini cockpit simulator and an interactive Titan first stage rocket engine that will show how the rocket steered itself by the gimbaling. 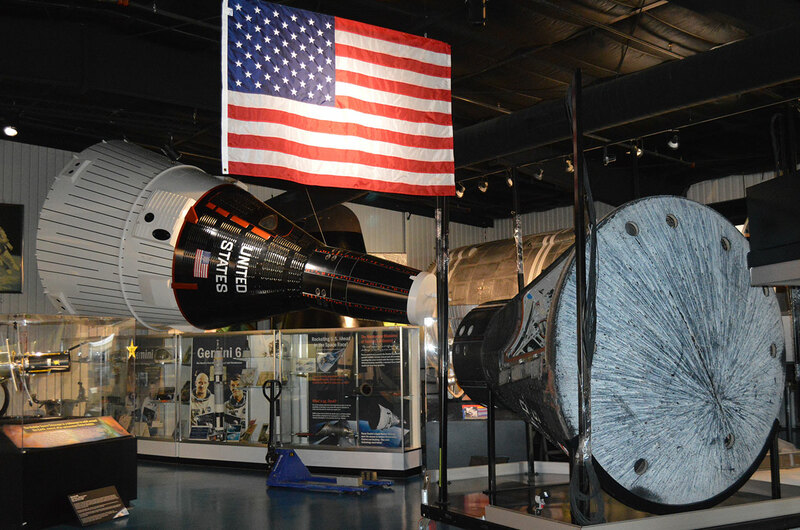 The Gemini 6 spacecraft exhibit is part of the Stafford Museum's $5 million Legacy Campaign to expand the museum by 20,000 square feet (1,900 square meters), of which $4 million has been raised to date.